Ask anyone who has owned a successful racehorse and they will tell you that the excitement and thrill is unbelievable, and like nothing else you will ever experience. We purchase racing stock at major thoroughbred sales around Australia and New Zealand. The main buying time is between early January and April each year. We mainly purchase yearlings (one-year old’s), that turn two on the first of August later that year. We purchase horses in two ways; on behalf of a client (with a specific type/budget in mind), or for the stable, to then offer to our clients. Once you have committed to purchasing (a share in) a horse and completed the necessary paperwork, the fun really begins. Ongoing training costs are invoiced out monthly. Costs will vary from month to month depending on whether your horse is in full training, pre-training or spelling in the paddock. On average over the course of a year a horse will cost approximately $3500 per month. Respectively if you own a share of a horse then you only pay that percentage of the monthly fee. Purchasing a young racehorse can be very exciting as they are full of potential and promise. Everyone cannot wait for them to hit the track and start racing. However, before a horse gets to the races, they must grow and mature, and be educated. The horses purchased from the yearling sales are normally broken in straight after. That is, they are educated to accept the bridle, saddle and rider. After around four to six weeks of breaking in, the horses go to the stable for a few weeks education. Here they generally learn the ropes of a big stable. They work with other horses, gallop on the track and may also go through the barriers. After this the horse is turned out to the paddock where they can continue to grow and further mature. Depending on the breed of the horse, as well as the mental and physical maturity, a horse may be trained for a 2YO campaign. Usually a well advanced (or what we call an early running type) may make a 2YO. These horses learn quickly and can take more work as a young horse to become fit enough to race early. Even still, they may not race until the beginning of the following year from purchase. This type of horse may be set for such races as the Magic Millions, Karaka Millions, Blue Diamond or Golden Slipper. If the horse is not that advanced or was purchased as a long distance staying type of horse, it may take longer to get to the track. Owners of these horses have to be patient; however, the rewards can be far greater. Many a staying horse who is looked after and not pushed as a young horse can go on to have a long racing career. This type of horse will most likely run over long distances which are where there is some large prize money available, mainly in Cups races. Sometimes owners may have to wait until the horse is a 3YO or 4YO before they get to the races. Once a horse is brought into full work it trains for around 12 weeks before it is ready to go to the jump outs, trials or races. The fitness regime starts with slow work - trotting and cantering. The work load is slowly built up to three quarter pace and then to even time, which is the pace achieved by a horse running 15 seconds to the furlong (around 200m). As they get to the business end of their preparation the horses work is stepped up again to include gallops. When a horse is in full work owners receive a weekly update by email or fax. A horse needs to be named before it can trial or race. In the case of a syndicated horse owners are invited to submit a name for the horse and several are submitted to the registrar of racehorses for consideration (names are subject to availability and can be checked at this site). When a horse is ready to race he is entered or nominated for a race usually five days prior to the event. For instance, if a horse is scheduled to race on Saturday they are entered on the Monday. Weights assigned to the horses usually come out the following day. Acceptances for the race are usually two to three days prior to the event. In the case of a horse racing on a Saturday, acceptances are on Wednesdays. At acceptances the time of the race is set, the barriers are drawn, and jockeys are declared. It is our priority to ensure that you have a positive and inclusive racehorse ownership experience. We will provide regular communications including horse updates and host stable visits, racedays and other events throughout the year. 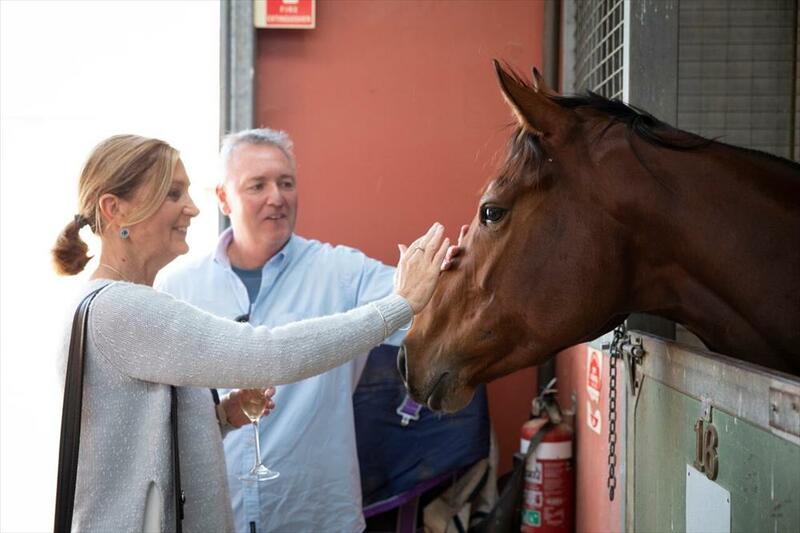 As an owner you are entitled to a Racing Victoria Owners Gold Card, racecourse entry tickets, your name in the race book and entry to the mounting yard (access to your horse, jockey and trainer) and owners room when your horse races. To find out more about the Owners Gold Card please click here. Should your horse need to be retired from the industry, Kavanagh Racing will provide a complimentary retraining and/or rehoming service at no expense to the owners.